The needs of New Yorkers and the nonprofits who serve them are always growing, but the resources available cannot always keep pace. Watch the video below to learn how your organization can better utilize your resources to achieve your mission. A Service Enterprise is an organization that fundamentally leverages volunteers and their skills across all levels of the organization to successfully deliver on its social mission. Service Enterprises more effectively address community needs and run on almost half the median budget than those nonprofits that do not leverage volunteers across all levels of their organization. 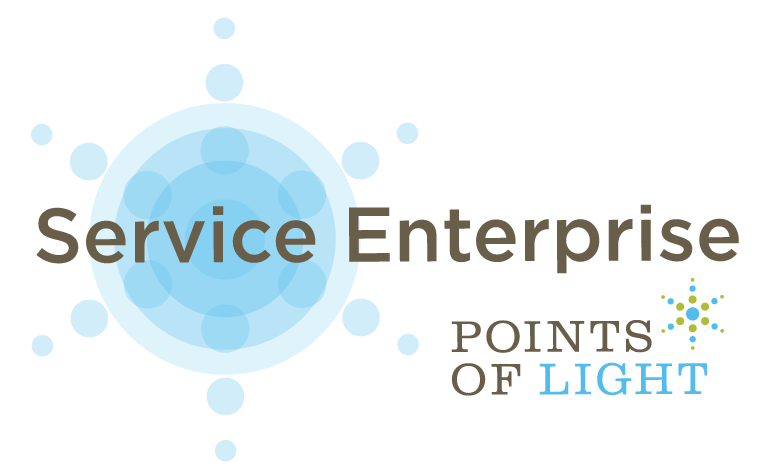 Points of Light, the largest organization in the world dedicated to volunteer service, is leading the national Service Enterprise Initiative. NYC Service is proud to partner with them on NYC Service Enterprise, a change management program that helps organizations transform the way they engage human capital for social good. Our goal is to implement a capacity-building system for NYC organizations to create and enhance volunteers as part of their strategic plan. The initiative will also support the OneNYC goal of increasing the current NYC volunteer rate from 18% to 25% (national average). This means tapping into the greatest asset we have in New York City: our 8.6 million residents. New Yorkers are talented, capable, and want to serve their communities, so how can organizations fully harness the potential of volunteers? Watch Rev. Ann Kansfield share how NYC Service Enterprise enabled the Greenpoint Reformed Church Hunger Program to better achieve its mission and meet the needs of its community. Participating organizations commit to a 12-18 month-long assessment, training, coaching, and certification model guided by one of our NYC Service Enterprise leaders, which we call Hubs. 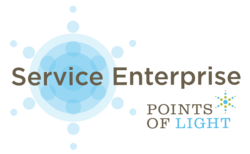 2018-2020 NYC Service Enterprise kicks off with a citywide orientation in February 2019 and culminates with organizations completing Service Enterprise certification by June 2020. For a closer look at the time commitment, please view the 2019-2020 NYC Service Enterprise: Cohort Timeline under ‘Related Documents’. In Fall 2016, we launched NYC Service Enterprise with 26 inaugural organizations. In Fall 2017, our participation scaled to a total of 66 organizations. The City of New York and Points of Light have recognized the organizations below for earning their certification as a Service Enterprise and for being leaders in strategic volunteer management. New Women New Yorkers, Inc.
View a full list of our participating organizations within the NYC Service Enterprise Overview document. Contact Crystal Avila, NYC Service Capacity Building Coordinator, at CAvila@cityhall.nyc.gov with any inquiries regarding NYC Service Enterprise.